Welcome to the Gareth Lloyd Ceramics Portfolio. 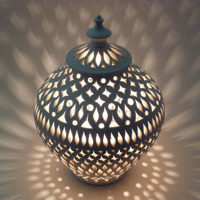 All the ceramic lamps are individually hand made and sold with electrics fully fitted. 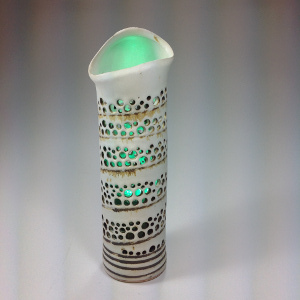 Abstract lamps are fitted with LED colour changing SES bulbs with remote handsets. Traditional lamps are fitted with a pygmy standard SES clear bulb. Commissioned pieces can be made to order. Lamps can be despatched anywhere in the UK for a fixed charge of £10 regardless of size and number of lamps ordered per single consignment. To open a gallery, select one of the galleries below.